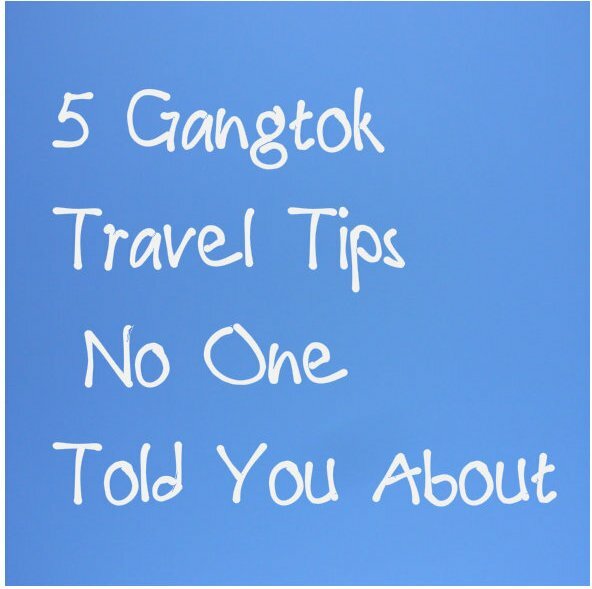 Here is a list of useful Gangtok Travel Tips that you should look at before planning your tour to Gangtok, Sikkim. 1. Timing is very important. Avoid rainy season, rains play a spoilsport. 2. Best time to visit Gangtok is March-April and Oct-Nov. Gangtok hotels and other services may get expensive but this is the time. 3. June-July is considered off season and hence cheaper. If you have chosen this time to visit Gangtok, be prepared for rains and muddy roads. However, rainy season has its own charm. 4. Gangtok has no airport. The nearest airport is Bagdogra (West Bengal), which is about 135 km from Gangtok. 5. It takes anywhere between 3 to 5 hrs to cover this distance depending on the condition of roads and traffic. 6. If your flight from Bagdogra is in the first half of the day, start early from Gangtok. 7. If you love staying in the hustle bustle of a market, choose a hotel on MG Road/market. 8. Those looking for solitude can choose a hotel away from MG Road. 9. Taxis inside Gangtok are expensive and it looks that every 2nd person you meet in the city is a taxi driver. 10. Sharing a taxi is the best way to save money. Look for fellow tourists, who can share a taxi with you and then hire one. 11. Same goes when you need taxi from Gangtok to drop you at the airport. Find fellow tourists who have the same flight as you. Collaborate and save! 12. Always go for an experienced driver and hire a heavy and sturdy vehicle for your trip to Tsongmo/Changu Lake, Nathu-la, Pelling and Yuksom. 13. Since Nathu-la is pretty high, some travellers complain of headache and breathing problems. If you have some apprehensions, it is better to consult a doctor. 14. A permit is required to visit Nathula Pass, which is generally arranged by the agent through which you’ll rent the vehicle. It has to be applied a day in advance. 15. The cost of permit could be anywhere between INR 800 to 1000 per person. A photo ID card and two photographs are required.